Thanks to everyone that has already registered for the season. A friendly reminder that Subs and CRL Affiliation Fees need to be paid by all players by 31st March. If a family or player needs to set up a payment plan please let your team Manager know. Juniors – $70 for the first child then $30 for every other child, within the same family. Every player at all clubs must pay an affiliation fee to Canterbury Rugby League. This fee is in addition to any club subs that a player pays. Please include this payment to Halswell Rugby League Club, bank account with subs. Please ensure all payments are made via internet banking or alternatively manual deposit at any Westpac Bank. 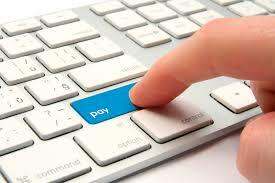 This form of payment is easiest for us to track and eliminates any team officials from handling cash. Please ensure all deposits are referenced with players name and team.